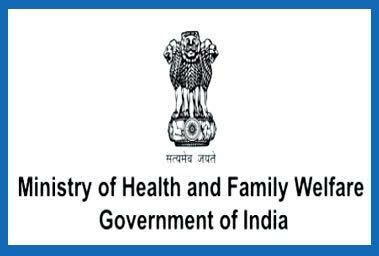 New Delhi: The health ministry has proposed a bill that seeks to empower state and local authorities to take appropriate actions to tackle public health emergencies like epidemics and bioterrorism. States and local bodies under the proposed bill can take multiple measures, ranging from quarantining people to decontamination of areas, destruction of animals or birds and surprise inspections during any public health emergency. The ministry has put the draft Public Health (Prevention, Control and Management of epidemics, bio-terrorism and disasters) bill, 2017 in the public domain seeking comments from various stakeholders. The ministry has proposed that any intentional violation of any provisions under the Act will be a cognisable offence punishable with a fine upto Rs 50,000 for first such violation and upto Rs 1 lakh for repeat contravention and can also lead to imprisonment upto two years. “This Ministry (Health) has prepared a draft Public Health (Prevention, Control and Management of epidemics, bio-terrorism and disasters) bill, 2017. Comments of all stakeholders are invited on the draft Public Health Bill,” the notice said. The proposed bill lists 33 epidemic-prone diseases which include Anthrax, bird flu, dengue, HIV/AIDS, yellow fever, rabies, plague, measles, kala-azar, among others. The draft also lists potential bioterrorism agents including bacteria of typhoid fever, cholera, plague among others, and viruses including ebola, dengue, Japanese Encephalitis and others. “Any other potential bio-terrorism agent having public health consequences may be added, as may be notified,” the proposed bill states. The proposed bill said that the the Epidemic Diseases Act, 1897 is hereby repealed. “If any state government or administration of Union Territory or any district or local authority is of the opinion that a public health emergency has arisen or is likely to arise, it may, by order quarantine or restrict the movement of any person or class of persons or any object or class of objects suspected to be exposed to any such disease or exposed to any substance as may be stated in the order,” the proposed bill said.